I always want to see local authors do well. I’d love to see a bestselling author come out of Lockport. However, I sometimes find it difficult to give reviews on local author’s books. Inevitably, we have mutual friends, and if I’m not all sunshine and rainbows with my reviews, someone gets upset with me. I try my hardest to be constructive with my reviews on the works I don’t like. Even the ones I do like, I still try to find the best in it and offer suggestions to make it better going forward. In February, I saw a post on one of the Lockport Facebook pages where a former Lockportian had written a new book, and that it was available on Amazon. I purchased a copy and started to read it. Unfortunately, George passed away that same week, and I just lost interest in reading for a week or so. In the meantime, the author reached out to me and told me he was sending me a newly edited copy of the book for me to read and review. That is what I am reviewing today. 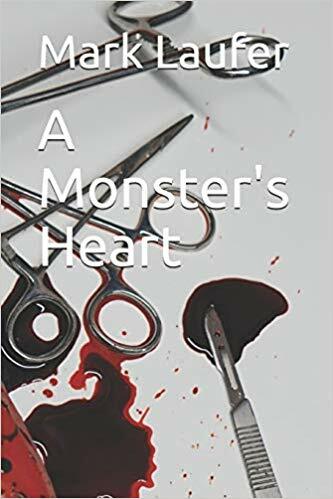 A Monster’s Heart is set mostly in Lockport in the very near future. This future Lockport is just a little bit darker than the Lockport we know and love, but it very definitely recognizable. It appears that a serial killer has made a stop in our city when a body is found in the old UAW hall. Could it be connected to Damon Christian, an infamous serial killer who was knocking off those who “deserved it.” Locked up at Riker’s Island, some television producers are creating a show around the life and trial of Christian. Caleb Holoway is the chief of the Lockport Police Department. Christine Jacobs is his somewhat partner in her service as the city’s coroner. They work together to try to track down the killer of the woman they found in the abandoned union building. They must work various leads to bring the killer to justice, becoming closer to each other as more time passes. This leads to increasingly awkward moments that lead to more than simple conflicts of interest. Meanwhile, a notorious serial killer is playing mind games with his captors and the people filming his life. By the end of the book, a series of ulterior motives exposes the killer from an unlikely source. The narrative flips back and forth between Damon and his television team, and Caleb and Christine. Each of these points of views is unique. The Damon parts are easily the most intriguing of the entire book. He is a classic psychopath, and Laufer captures that perfectly. In fact, there are some parts of his narrative that is actually quite frightening. For the most part, the actions of Christine and Caleb are quite clinical, especially when they are talking shop. As they move into their personal relationship, some of that cold, clinical talk erodes away. By far, the Damon Christian sections of the book were my favorite parts. This book was fun to read. There are familiar parts throughout the book that make it extra interesting for locals. The storyline of the murder and its subsequent solution will keep the reader turning the pages. The plot is well developed and well paced. For these reasons, this is a good book for readers. Another thing, which is kind of big for western New Yorkers is that no one would ever refer to wings as “Buffalo wings” in casual conversation. It’s simply wings. I understand that people from out of the area might not know them as “wings” but the dialogue could be wings with a short explanation in the description of what they were speaking. At least he didn’t have the characters using ranch dressing on his wings. That would have been a fatal error (pun fully intended). All joking aside, A Monster’s Heart by Mark Laufer is a really good thriller that will keep you reading. That familiarity for Lockportians will make it that much more exciting. I think you will really enjoy the frightening charisma of Damon Christian. It was definitely the high point for me. I would definitely read any other books Mark Laufer writes. Craig Bacon lives down the street from the UAW Hall. He hasn’t seen any dead bodies there, but this book was set slightly in the future. He’ll be on the lookout.